After an unmentionable wait we are here with the final list of nominated blogs for the 2008 Indibloggies. Thanks again to all of you for suggesting all these wonderful blogs and to the Indibloggies Jury for carefully going through thousands of blogs and rating them. Watch out for the announcement of the final polls. 1. The "Best IndiBlog directory/service/clique/network" category was dropped due to insufficient number of nominations received. 2. IB-2008 edition is running late, note that the nominations happened in Feb 2009 and the Jury rating process happened in March/April 2009, since then some Blogs have either moved or are now defunct. However, since they existed at the mentioned URLs at the time of nomination/Juror rating phase we have listed the URLs we have on our records. 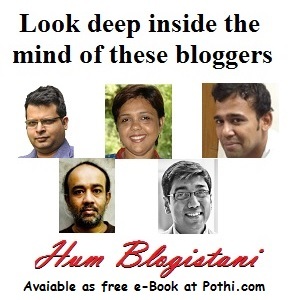 We urge you to vote for such blogs based on your best judgment.